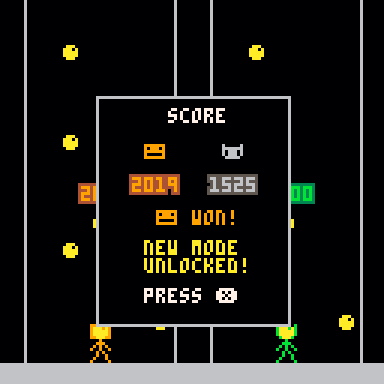 Riaf Versus is my entry for the game jam of the 20th Anniversary's of EPITECH. The theme was : Making games to fight against discrimination. 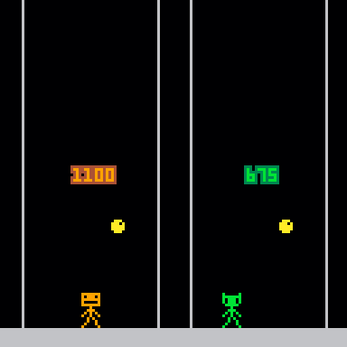 This game is about gender pay gap. A woman , for the same jobs and the same studies, is sometimes paid 20% less than a man. 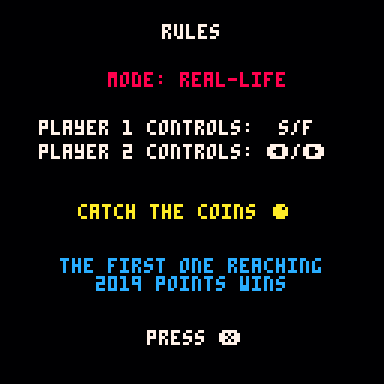 I chose to make a versus game (yep, you must be 2 to play it) where one of the player will feel it by obtaining 20% less points than the other one. 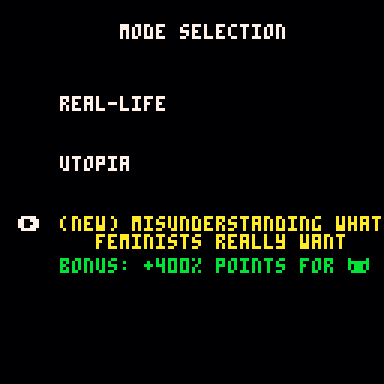 3 modes are available : "Real-life", "Utopia" and "Misunderstanding what feminists really want"
Hope you will enjoy this little game !